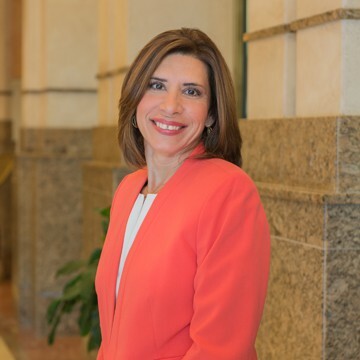 Yazmin Gil heads up the administrative and business functions at Allen Morris and its affiliated entities, overseeing the financial operation and planning of the company including human resources and IT divisions. She is in charge of financial management and reporting, cash management and strategic planning, financing and debt. Her real estate experience includes commercial property management and its financial applications in construction, development and condominiums. She has a practical perspective that is extremely valuable in communicating with both real estate owners and investors. Yazmin is a graduate of St. Thomas University in Miami Gardens, Florida, with a Bachelors of Science degree in Accounting. She is a member of the Greater Miami Chamber of Commerce and the Institute of Management Accountants. She has been with Allen Morris for more than 11 years. During that time she has arranged for approximately $200 million in debt financing.